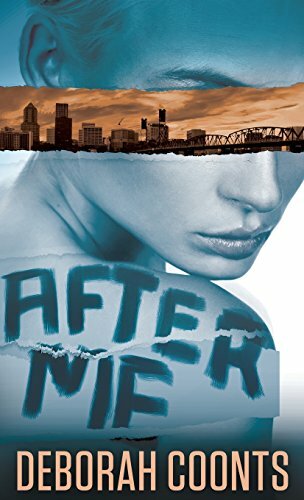 “After Me” is a fast-paced, action-filled mystery/thriller by Deborah Coonts that you will not be able to put down! Kate Sawyer, an undercover cop in NY, was severely injured while trying to infiltrate a crime syndicate. Currently in the Witness Protection Program, she is participating in a medical study due to her lost memory. Kate has early Alzheimer's and relies on others to tell her what happened. Kate finds that many people she associates with are being killed, all for the goal of finding missing diamonds during the crime syndicate fiasco. Slowly as her memory returns, she finds that some individuals she trusts cannot be trusted. Given that there are many individuals involved in her current life she becomes very stressed and fearful of everything. Coonts captured me from page one through the very last page with her twisted plot. Every time I felt I knew, “who done it,” something else happened. She did an excellent job researching Alzheimer’s, describing flying scenes, and crime scene investigation. Her characters are perfect for this story and are described in such a way that you will feel you know them. I felt the author did an excellent job of presenting behaviors on Alzheimer’s and the impact it can have on one’s life. She fills the book with cat and mouse games that many individuals participate in to get their way or get the suspicion off them. I recommend “After Me” by Deborah Coonts to everyone who likes to be caught up in the action of a great story.